What could be better for a daily driver and family cruiser than a big V8 powered American wagon with less than 100k miles on the odometer offered for a good price. 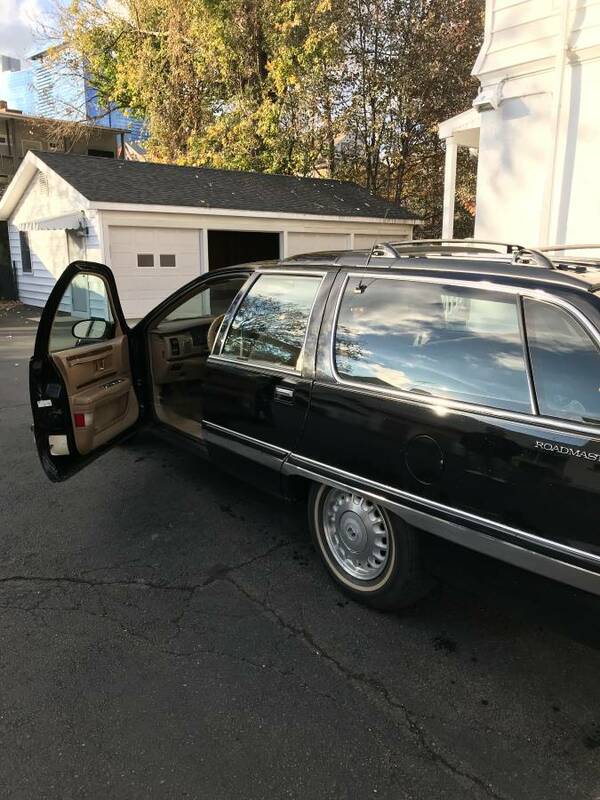 The Buick Roadmaster Estate may have been a badge engineered version of the Chevrolet Caprice Estate but it added much needed flair to the B-body platform and is the cool old dude's choice for a late model domestic wagon...and this one comes with the later LT1 V8 for more power and torque. 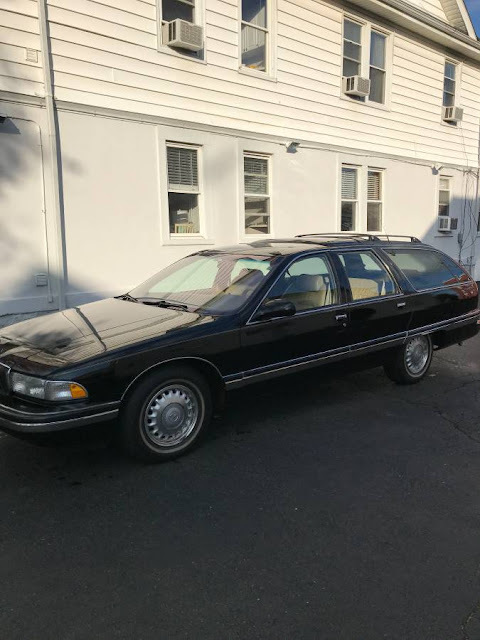 Find this 1995 Buick Roadmaster Wagon offered for $3,000 in Long Island, NY via craigslist. Tip from Rock On! 95 Buick Roadmaster Wagon . Good condition 3000 or best offer. Please text or call if interested . This would have been perfect back when I was considering these. With the tow package they're good to haul a lightweight racecar on an open trailer. I'd love to drag around a lotus/Miata/Formula Ford/vintage British roadster with one of these. Don't know if I've ever seen one in black with wood delete before. Or even *with* wood for that matter. Could be it's been painted. Still and all, at 98k miles, that's a good price if it checks out OK. KBZ provisionally approves, just exercise standard reasonable caution. I find myself looking thru the local List o' the Craig whenever a RM is posted here. In all sincerity, I have zero idea why some peeps drool over these cars. Is it the "it is so ugly it is kinda' cute" attraction dynamic? It's the last body-on-frame RWD American V8 station wagon. Aesthetics are a matter of opinion but if you want the final iteration of that formula, this is it. DT head honcho Vince has one, a blue non-wood version with an LT1. Used to belong to Kaibeezy. I've driven it and understand the appeal. It's a great cruiser, cheap to operate, practical for a family with multitudes of offspring (like Vince's) and it's quirky compared to your typical boring crossover or minivan. If you want the ultimate body-on-frame RWD V8 American car, then the 2003+ Ford Crown Vic P71 Police Interceptor is the way to go. Acceleration and handling far superior to the Roadmaster. But no wagon of course.